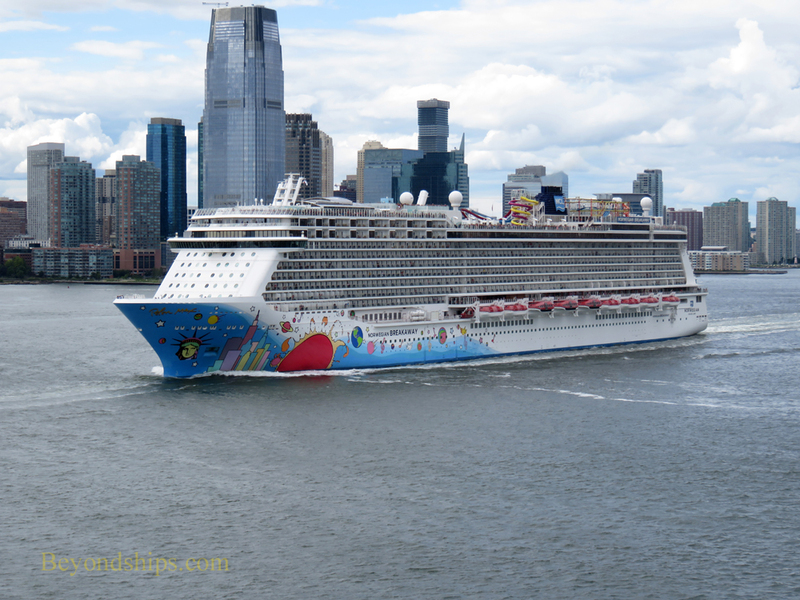 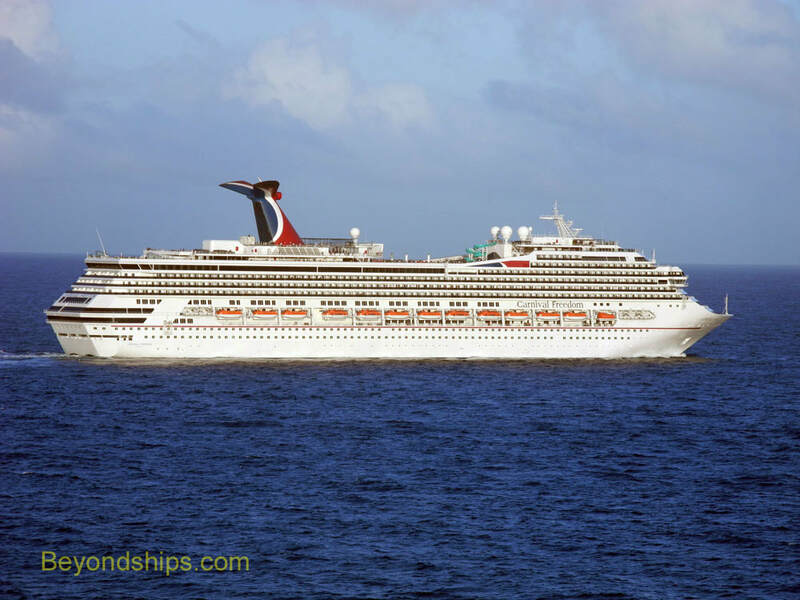 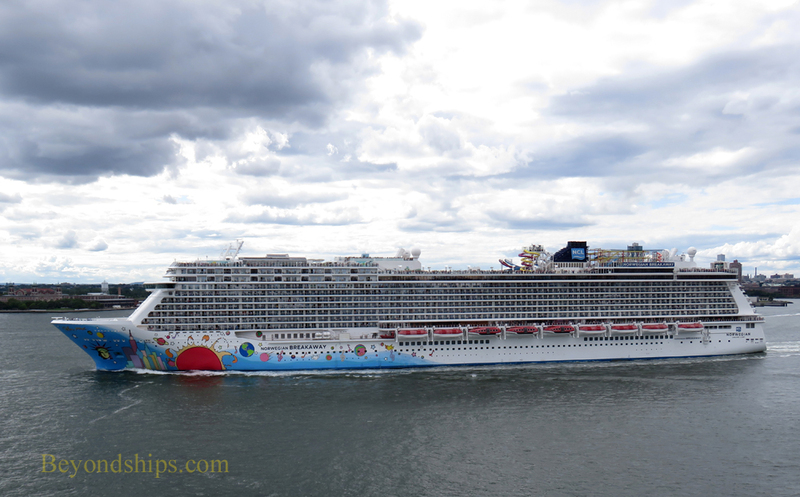 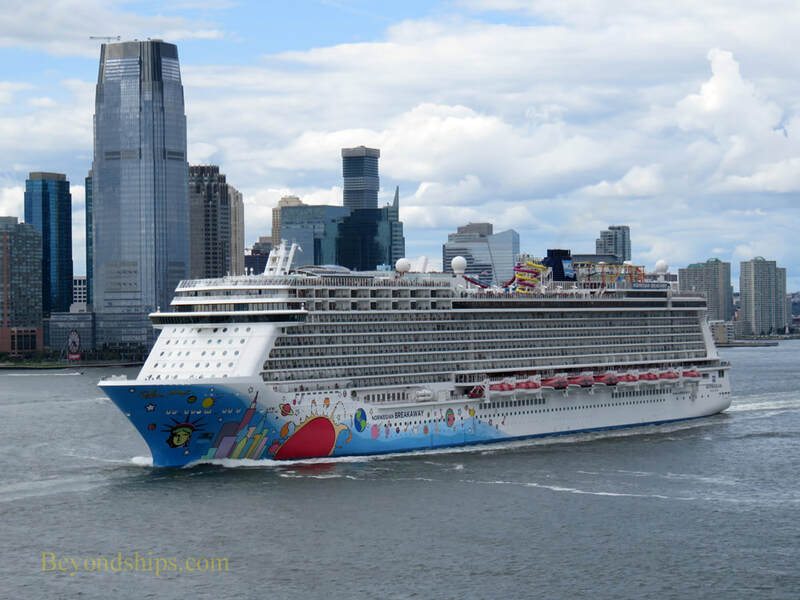 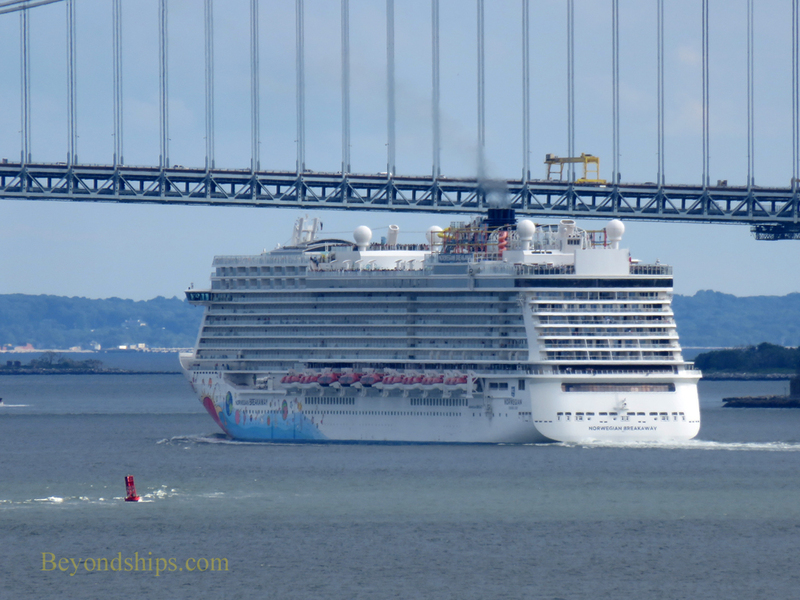 Summertime and we find Norwegian Breakaway on one of her weekly visits to Bermuda. 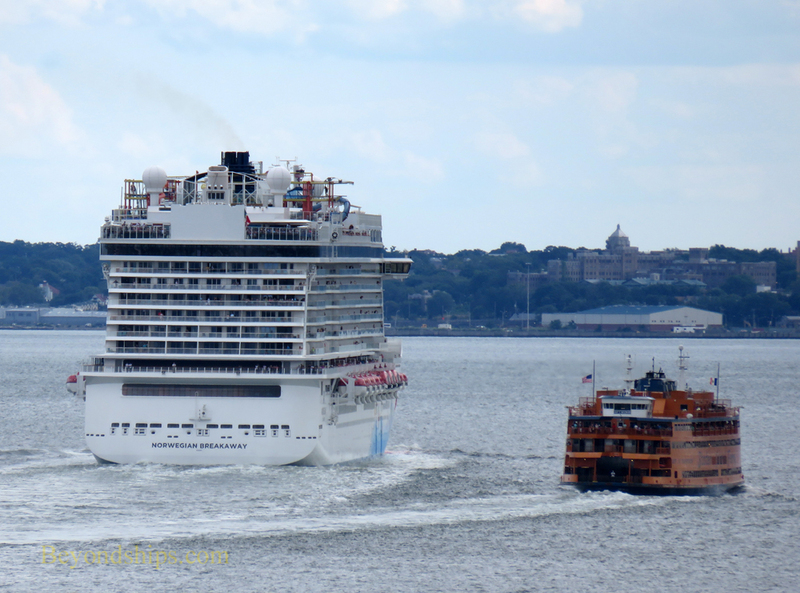 ​Right: Breakaway backing out of her berth in midtown Manhattan at the start of the cruise. 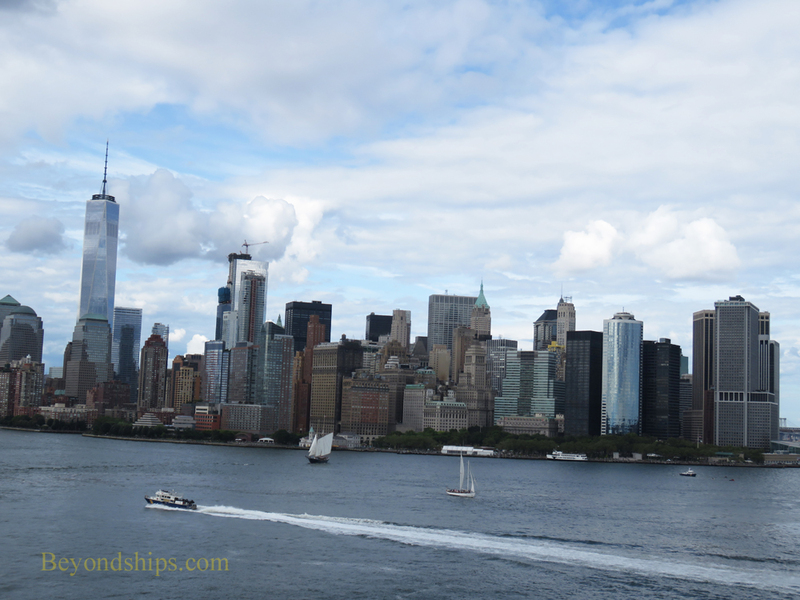 ​Passengers aboard Breakaway get a panoramic view of the Manhattan skyline as the ship sails down river. 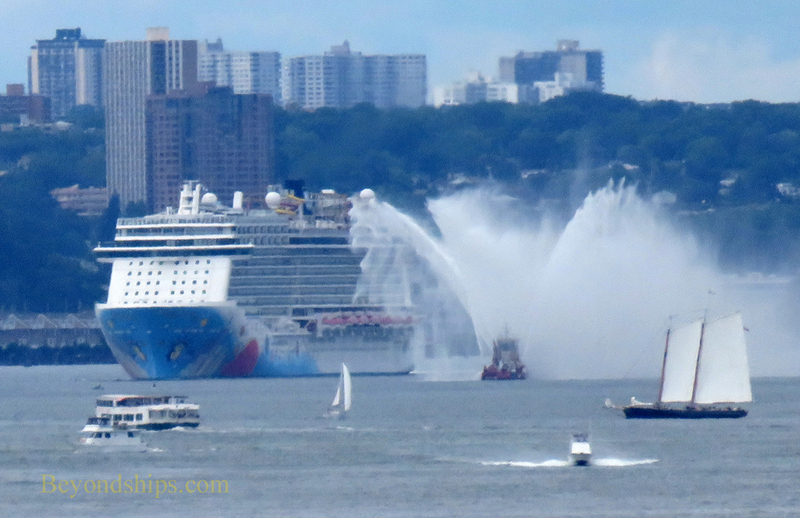 Left: As Breakaway turns to head down river, a fireboat salutes the ship with its water cannons in traditional New York harbor fashion. 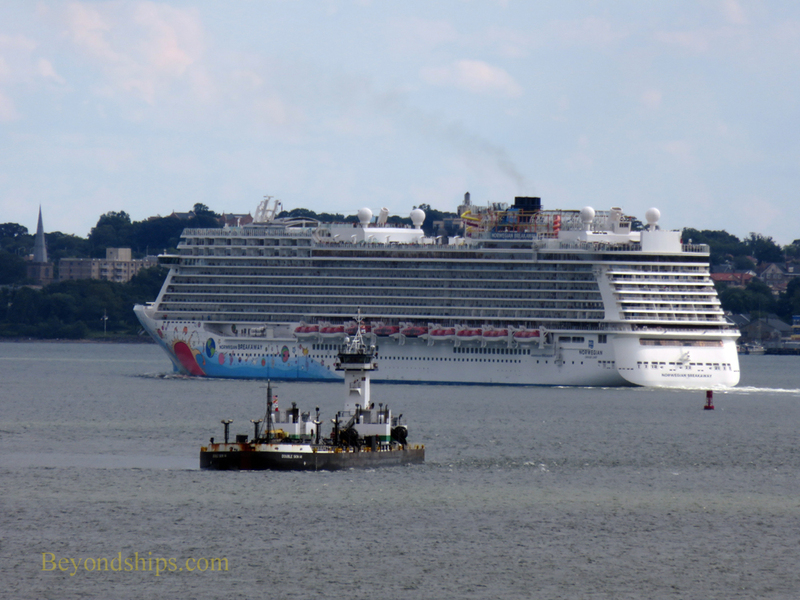 Breakaway passes the towers of Jersey City and then on past Ellis Island. 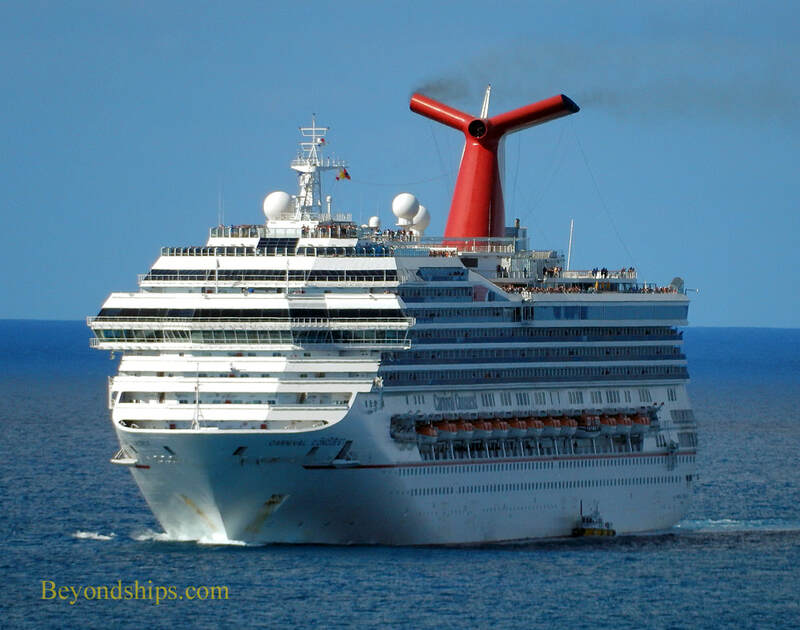 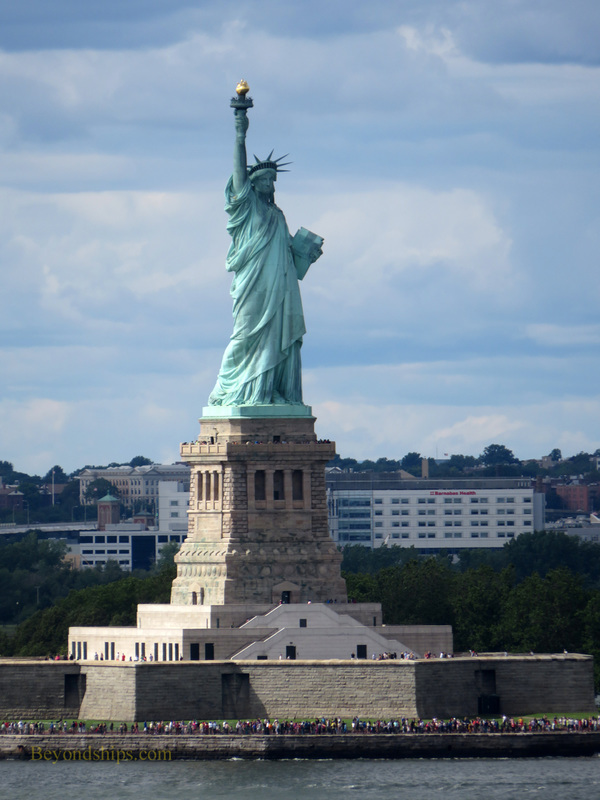 A highpoint of the journey comes when the ship passes the Statue of Liberty. 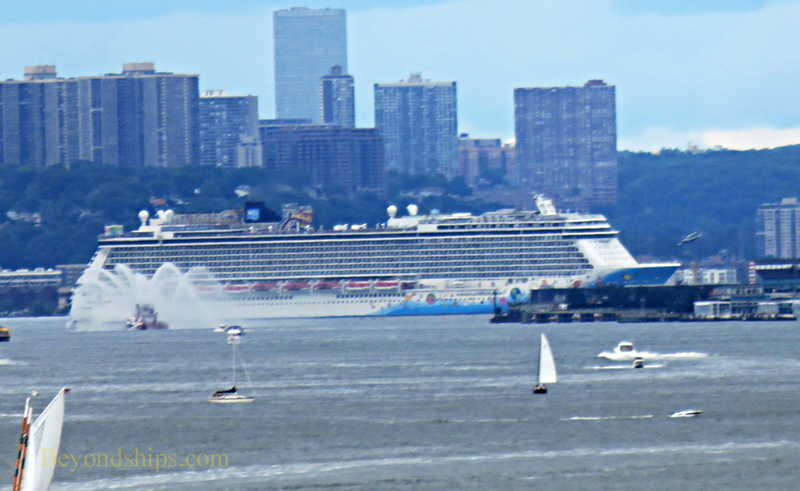 The harbor is busy and Breakaway sails by the Staten Island Ferry, excursion boats and barges as she makes her way past Brooklyn (port side) and Staten Island (starboard side). 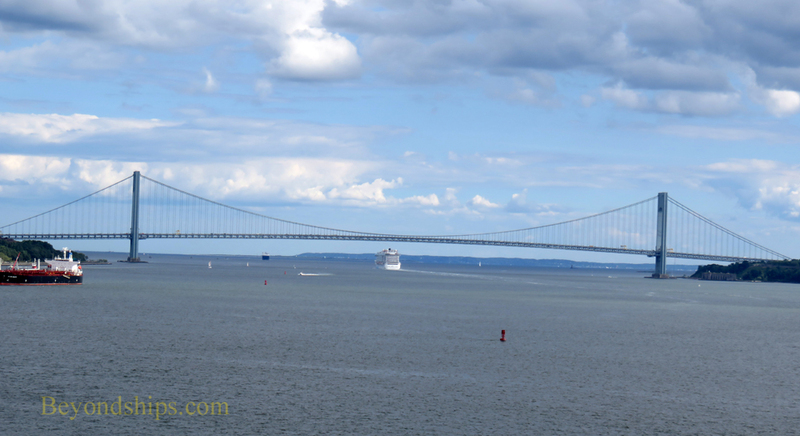 The Verrazano Bridge in the symbolic entrance to the harbor. 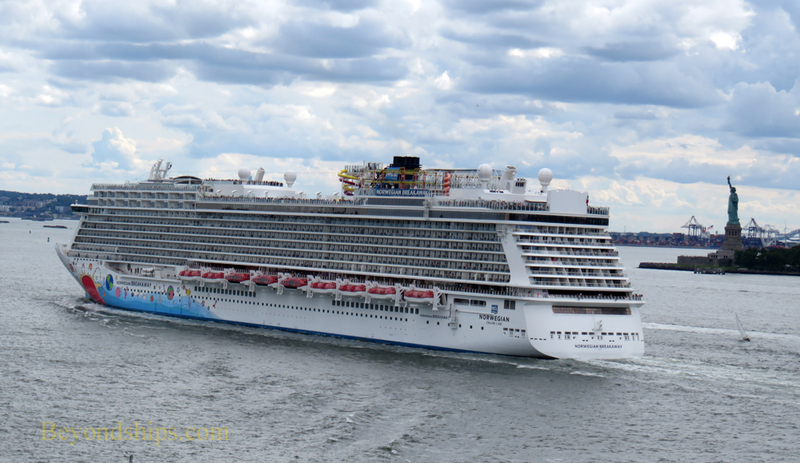 Seemingly a close fit but Breakaway once again makes it out to sea.